Lacquers - Buy professional car varnish on Carbodystore! LACQUERS There are 14 products. 2K Clear Acrylic Top Coat of high gloss and short hardening time. Two-component (2K) acrylic top coat, HIGH SOLID Class (HS), 2:1. 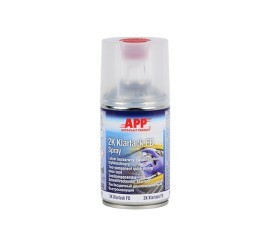 Two-component (2K) clear coat, HIGH SOLID (HS) class acrylic varnish, 2:1. 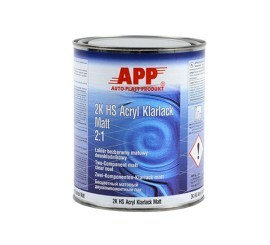 Hardener for two-comppnent acrylic clearcoat APP 2K Acryl Klarlack Compact 2:1 (ref: 020117). Hardener for acrylic clearcoat Spezial S 2:1. Hardener for two-component acrylic clearcoat QUARTZ Q301. Two component, fast drying varnish, high gloss. 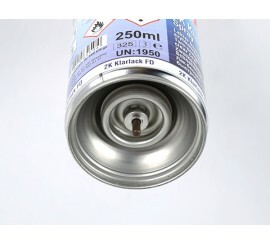 High quality series of fast-drying acrylic topcoats in aerosol. It is characterized by very good adhesion and high resistance to atmospheric conditions. 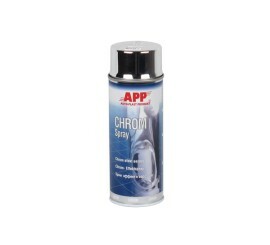 Automotive lacquers are specially designed to make hard durable finish layer. Different types of lacquers can make matte or gloss effect. 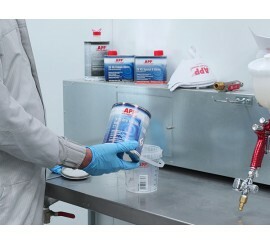 Lacquer application is a complex process and requires a thorough preparation of every element. Here are 3 easy tips that will help you during your work: 1. Preparation - Always ensure that paint has completely dried up and there are no foreign objects on the surface such as dust, metal particles or threads. Always check twice. 2. Materials - The better the materials and equipment you use, the better result you have. Simple rule but always actual. 3. Application - Always spray vertical elements from the bottom, horizontal from side to side. Keep the rhythm and make sure that every application overlaps the previous one by nearly 5 cm. Never start from the middle. Je suis un carrossier professionnel, je m'inscris pour un catalogue et echantillon gratuit ici! Merci, le message a été envoyé. © 2019 CarBodyStore.be - All Rights Reserved.